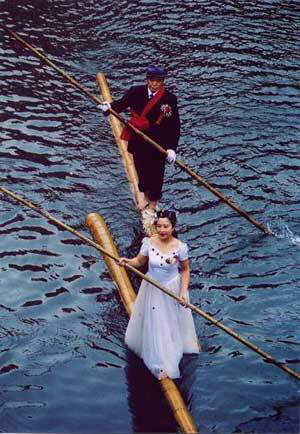 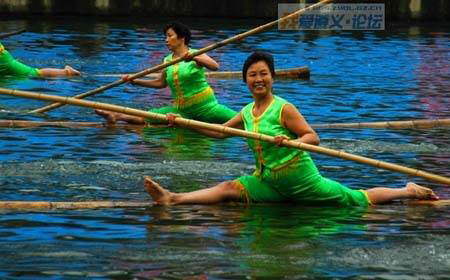 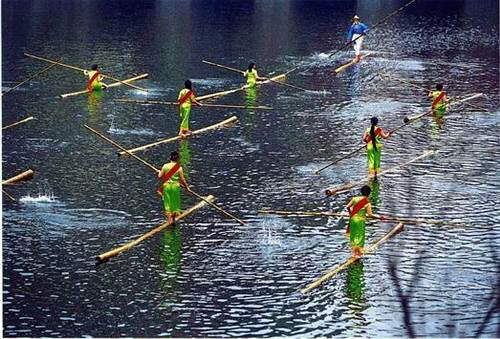 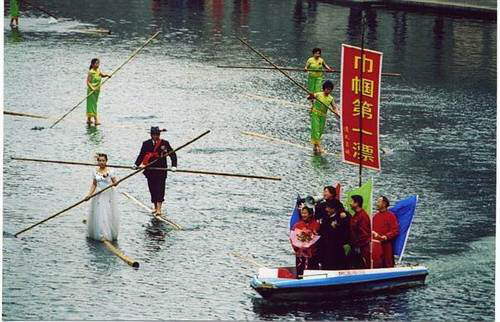 A new water sport in which contestants row a boat made of a single bamboo cane has been invented in China. 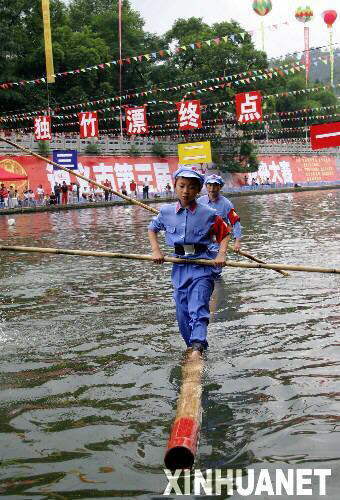 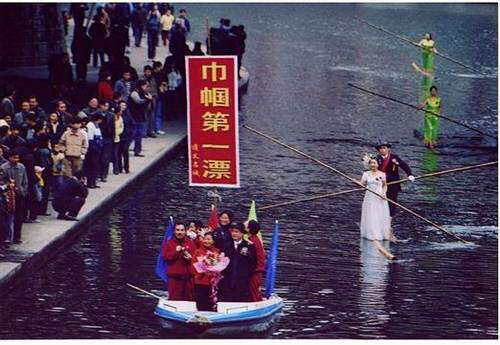 Villagers from Chishui, near Zuiyi city, came up with the idea. 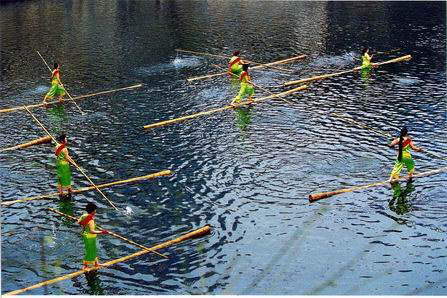 They make the boats out of locally grown bamboo and hold races on the Pinzhou River. 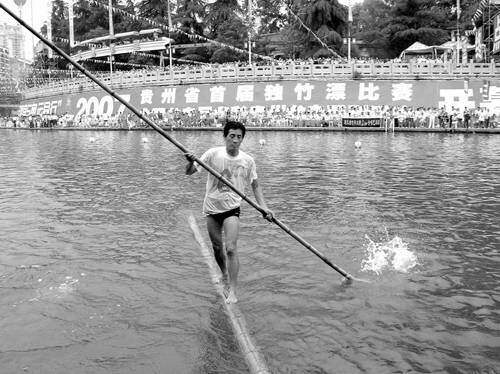 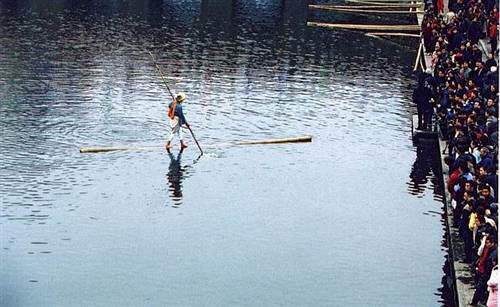 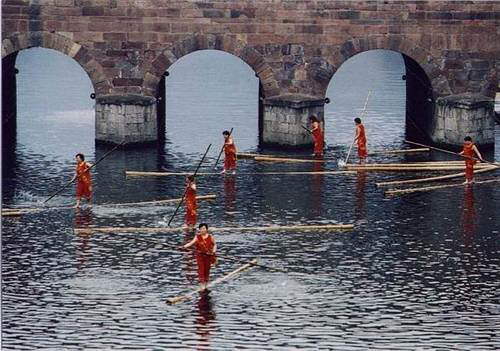 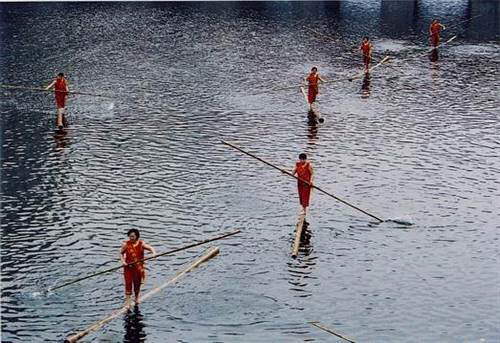 "Participants can sit or stand on the piece of bamboo, and with a thin bamboo oar, they race and compete at other tasks," explained one villager. 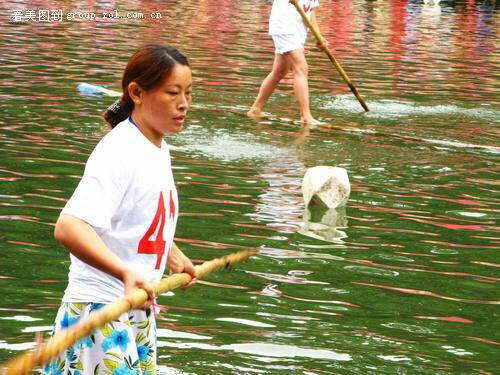 Villagers say the races have become a popular local attraction and hope the sport will spread across the region.